Despite a negative reaction from investors, Stantec Inc. (STN-T, STN-N) appears to be “turning the corner,” said Canaccord Genuity analyst Yuri Lynk. Stantec reported adjusted earnings before interest, taxes, depreciation and amortization (EBITDA) of $94-million, missing Mr. Lynk’s $101-million estimate and the consensus on the Street if $107-million. The result was hurt, according to the analyst, by $24.7-million in revenue and cost reforecasts in its Construction segment. Mr. Lynk did call the performance of its core Consulting segment “impressive” with organic revenue growth of 4.6 per cent, which he noted was the “highest in several years.” Energy and Resources saw 32.4-per-cent growth and Water was up 4.8 per cent. Mr. Lynk also increased the target price for Stantec shares to $37 from $34. The average on the Street is $37.18, according to Bloomberg data. “We conservatively set our Stantec target with a 10.5 times on 2019 estimated EBITDA less our Q4/2018 net debt estimate of $517-million,” he said. “The successful sale of the Construction segment combined with the growth we are seeing in Consulting could garner Stantec a much higher multiple, in our view. Elsewhere, Raymond James analyst Ben Cherniavsky maintained an "outperform" rating for Stantec with a $37 target. Gibson Energy Inc. (GEI-T) continues to “overdeliver,” said Industrial Alliance Securities analyst Elias Foscolos in reaction to the release of “solid” second-quarter financial results on Wednesday after market close. The Calgary-based midstream oilfield service company reported adjusted EBITDA of $102-million, exceeding Mr. Foscolos’s projection of $92-million. He pointed to strong performances of both its Infrastructure and Wholesale segments during the quarter. However, Mr. Foscolos said the results were overshadowed by Gibson’s announcement that it has secured additional capital projects worth $200-$250-million, leading to revised capital guidance for 2018 to a range of $250-$300-million from a previous expectation of $165-$205-million. He said the news provides “strong visibility” into 2020 for the company, leading him to raise his EBITDA and adjusted funds from operations estimates for fiscal 2018 through 2020. Keeping a “buy” rating for Gibson shares, Mr. Foscolos raised his target price to $22 from $19.50. The average is $20. Mr. Foscolos said Pason Systems Inc. (PSI-T), a Calgary-based provider of data management systems for drilling rigs, outperformed “across the board” with its second-quarter results, which were also released on Wednesday after market close. “We categorize the results as positive due to the beats in revenue, gross margin and adjusted EBITDA, and the 12-per-cent dividend increase,” the analyst said. Pason reported revenue for the quarter of $68-million, topping Mr. Foscolos’s forecast of $66-million and the consensus on the Street of $65-million, and due largely to performance from its International segment and better-than-anticipated cash gross margin. Adjusted EBITDA of $29-million also beat the $28-million expectation of both the analyst and the Street. The company also announced a 1-cent increase in its quarterly dividend (to 18 cents per share). With a “hold” rating (unchanged), he increased his target for Pason shares to $20.50 from $19. The average is $22.50. Elsewhere, CIBC World Markets analyst Jon Morrison upgraded his rating for the stock to “neutral” from “underperformer” with a target of $23, rising from $20. National Bank Financial analyst Greg Colman raised Pason to “outperform” from “sector perform” with a target of $23, up a loonie. Though WSP Global Inc.’s (WSP-T) quarterly results fell in-line his expectations, Desjardins Securities analyst Benoit Poirier expressed concern over the current valuation of its stock. On Wednesday before market open, the Montreal-based professional services firm reported adjusted EBITDA for the quarter of $169-million and net revenue of $1.541-billion, slightly exceeding the projections of both Mr. Poirier ($165-million and $1.517-billion) and the Street ($167-million and $1.504-billion). Adjusted earnings per share of 90 cents met Mr. Poirier’s forecast and beat the consensus by 4 cents. After raising his EPS projections for 2018 and 2019 to $3.46 and $4.09, respectively, from $3.45 and $4.04, Mr. Poirier increased his target for WSP shares to $76 from $74, which is slightly higher than the consensus of $75.05. Goeasy Ltd.’s (GSY-T) “massive” guidance in the wake of “another record” quarter prompted Beacon Securities analyst Doug Cooper to hike his target price for its shares. On Tuesday, the Mississauga-based consumer-finance lender revenue for the second quarter of $123.3-million, an increase of 26.4 per cent year over year. The result was driven largely by the growth in consumer loans receivable portfolio for its easyfinancial segment, which jumped 121.7 per cent from the previous year (from $38.3-million to $84.8-million). Maintaining a “buy” rating for its stock, Mr. Cooper increased his target to $70 from $60. The average is $58.50. Meanwhile, Raymond James analyst Brenna Phelan raised her target to $60 from $51 with an "outperform" rating (unchanged). Indiva Ltd. (NDVA-X) is “positioned for growth” in both the medical and recreational marijuana markets, according to Mackie Research analyst Greg McLeish. In a research report released Thursday, he initiated coverage of the Ottawa-company producer, which began trading on the TSX Venture Exchange in late December of 2017, with a “buy” rating. Expecting Indiva to receive its sales license in the third quarter of this fiscal year, he emphasized the company’s target of higher-margin branded products, edibles and concentrates. Believing it possesses a “strong” financial position that will allow it to pursue strategic acquisitions and address capital needs, Mr. McLeish set a target price of $1.50 for Indiva shares. He’s the lone analyst currently covering the stock, according to Bloomberg. 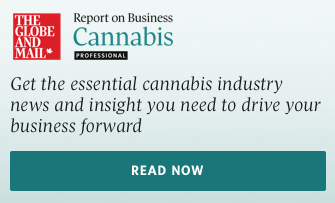 “We view Indiva as an emerging player in the cannabis industry,” he said. Expressing increased confidence in the economic viability of its Tijirit Project in Mauritania, Beacon Securities analyst Michael Curran raised his rating for Algold Resources Ltd. (ALG-X) to “buy” from “speculative buy” with a target of $2, falling from $6.50 based on a valuation change but in-line with the consensus on the Street. National Bank Financial analyst Matt Kornack downgraded Summit Industrial Income REIT (SMU.UN-T) to “sector perform” from “outperform” with a $9 target, which is 9 cents under the average on the Street. GMP analyst Ian Gillies downgraded Trinidad Drilling Ltd. (TDG-T) to “hold” from “buy” and lowered his target to $2 from $2.50. The average is $2.50.